How are Quakers structured in Wales? 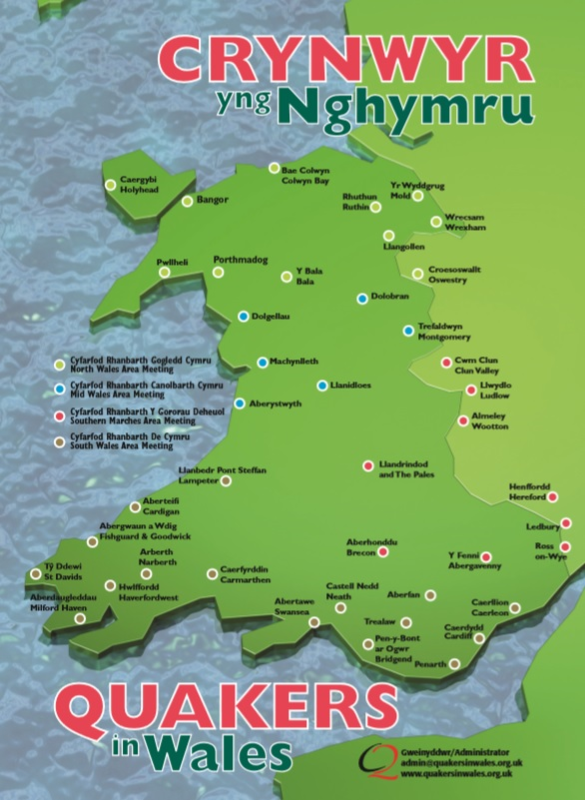 Quakers in Wales meet in local groups at a local level, in the same way that Quakers in Britain meet in local groups. Representatives from those meetings come together (less frequently) and meet as Area Meetings. There are currently three Area Meetings within Wales and a fourth which covers the borders or Marches;. Meeting of Friends in Wales is an umbrella body which is there to serve those Area Meetings and Local Meetings. The Meeting of Friends in Wales will provide information and nominations or appointed representatives to Quaker and other bodies when required. The meeting may communicate by minute with Yearly Meeting through its agenda committee (6.18) and Meeting for Sufferings (7.04), as well as with area meetings which include parts of Wales. It also has the obligation to receive minutes from these bodies.